This year, I was sitting through and inservice, thinking, "I know all this, why do I have to go through it again!" My radars went off, my mind quickly switched back to that moment so many years ago, and I reminded myself NOT to be those teachers. Yes, I did glean some new information, yes, many parts of it were the same, but the point is, I never gave in to that feeling, that thought. 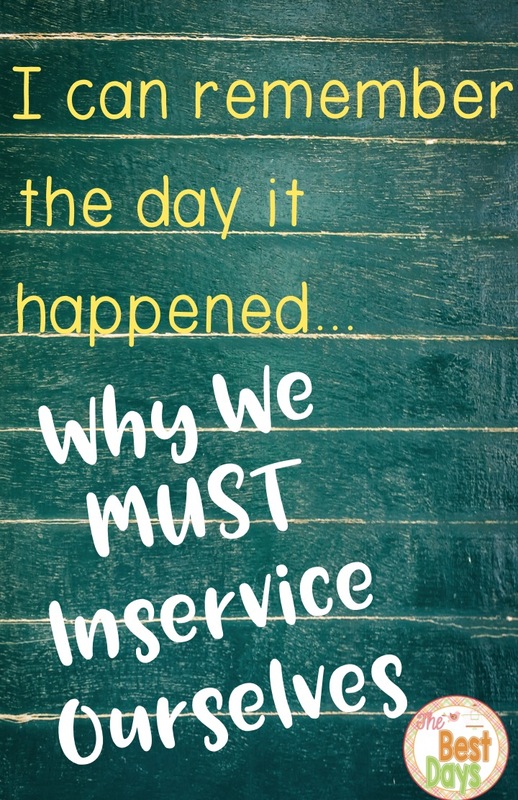 Instead, I reminded myself over and over, "I MUST INSERVICE MYSELF!" 1. Find like-minded teachers/administrators to work with. Many teachers will have this environment naturally at their work location simply because their administrator has a philosophy of learning more about the profession. I have not had the greatest of experiences with this. When I did, I skyrocketed my knowledge level in many areas. Yet it was the constant challenge of one of my Intern Level Teachers and now one of my best friends who has been the constant push to inservice myself. We frequently will decide on book studies that we complete, together, to further our knowledge collectively. This way we can talk, plan, design, implement whatever we have learned, even while in different grade levels. Find that friend, and inservice yourselves together! Heineman and Stenhouse both offer free newsletters where you can preview books and hear from the experts in the field. Then browse every one of them that comes into your inbox. Click and browse the books, listen to podcasts, discover where they are going, sometimes for free! This is a great, easy way to stay on top of what is on top of the field right now! Then note what you are extra excited about! 3. Pay attention to what is on your teacher evaluation. On mine, we must say what we want to improve upon-BINGO! There it is, your next great inservice idea! And, you can use it on the next year's evaluation in area 4 of Danielson! What a great way to instantly bump yourself up within that system and improve yourself and your classroom along the way! Yes, this is an easy way to find what you may be looking for. Type in the specific topic you are looking for (such as deeper comprehension) and you will find many ideas. Click one and then check out what "others are buying". This just may show you what you were looking for! 5. Join online communities of learners just like you! I am in a number of communities that provide a valuable service to me. If they don't, leave that community! Plus, during the school year, I will frequently find blog posts about topics where teachers have shared a book study on their blog! Sometimes that's enough to either move me along to find the book and purchase it, or enough to really understand the topic and then apply it. There is a wealth of information out there, you just have to be willing to INSERVICE YOURSELF! So, with that being said, I am proud to announce a couple of opportunities I am involved in this summer! 1. Right here on Conversations From The Classroom we will be doing a book study on Fearless Learners! This text is written by real teachers in real classrooms examining what a Student Led Classroom looks like! It's a simple read and is interactive! If this interests you, plan to join along with us! We will be sharing our learning on this blog and within our personal blogs as well. 2. 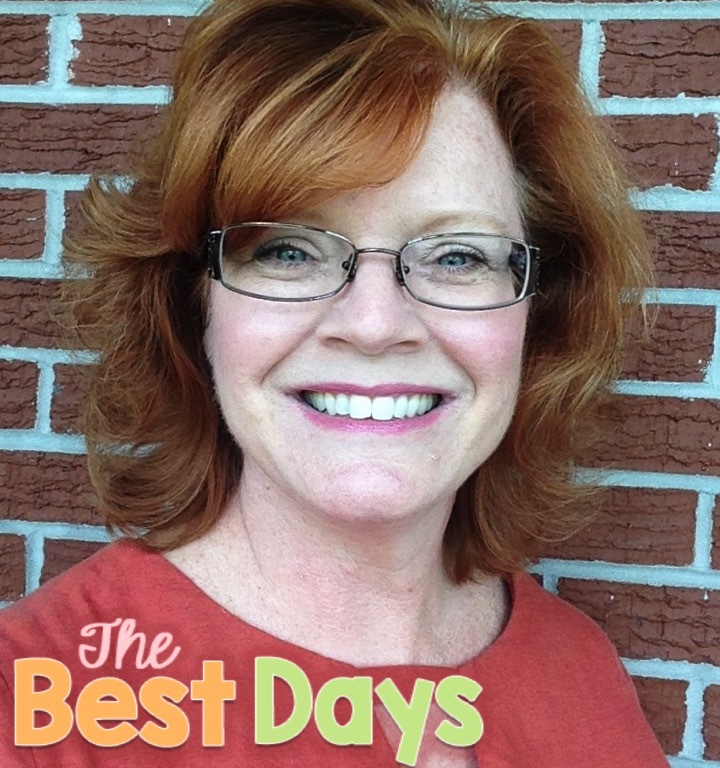 Join my over at The Best Days to follow my journey in learning about improving classroom discussions in the Student Led Classroom with the book study, Talk About Understanding. I will probably throw in a few more ideas from other texts that I will be looking at! I'm super excited about both of these topics and that you will be joining along! I'd love to hear any tips or ideas you have for Inservicing Yourself too! So, leave a comment and let's get a good discussion going! These are all excellent point, Julie. For me, like-minded educators are key to student success in the classroom. (I'm also a sucker for the Amazon suggested section. There are SO many great mentor-texts out there!) Summer Staff Development has also helped enrich my abilities as a classroom teacher over the years. Thanks for starting this discussion!